For evaluating the contents of trucks, containers, cargo, and passenger vehicles by a non-intrusive gamma-ray or X-ray imaging system to determine the possible presence of contraband, three-dimensional (3D) measurements could provide more information than just 2D measurements. 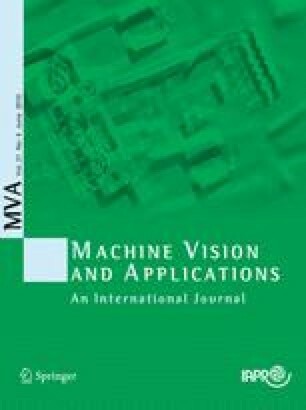 In this paper, a linear pushbroom scanning model is built for such a commonly used gamma-ray or X-ray cargo inspection system. Three-dimensional (3D) measurements of the objects inside a cargo can be obtained by effectively constructing a pushbroom stereo system using two such scanning systems with different scanning angles. A simple but robust calibration method is proposed to find the important parameters of the linear pushbroom sensors. Then, a fast stereo matching algorithm is developed to obtain 3D measurements of the objects under inspection. This algorithm is fully automatic based on free-form deformable registration. An interactive user interface is designed for 3D visualization of the objects of interest. Using the interactive tool, the automatic algorithm is also compared with a very simple semi-automatic algorithm based on point correlation. Experimental results of sensor calibration, stereo matching, 3D measurements and visualization of a 3D cargo container, and the objects inside, are presented.